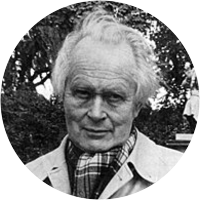 A collection of the best Piet Hein quotations. you'd be in the water. and stink of the past. what if it were two? see no worth behind it. for nothing - will find it. the charm of being small. that there is no defence. and now he has eternity. On Thoughts and Words I.
which makes a fellow lust for less. is better than ten in the eye. the chin that isn't there. than an Englishman is English. thy sounds and thy odors convey! O fragrant aroma of burning! Mere good intentions go for naught. and doing what we like. of that which we can taste and feel. Thinking gives a lot of pain. Talking doesn't cost a thing. and give your tongue a fling. to take themselves too seriously. ...which I find I cannot take. and never on their own. for dewdrops hanging out to dry. when your virtues don't suffice. with the obverse of a vice. might make you think them much alike. is in the color of the tail. refused to give up the ghost. The first will be painful to many. The second will pain the most. whenever it's raining on you. in what his fellow-man call relaxation. but lacks the necessary application. what the Devil he pleases. I am the Universe's Centre. when all the rest is all around me? and therefore nothing can get through 'em. apply to faculties we don't apply. until we make an effort not to try. you forget that the price is the same. what the devil they please. because now they can only get better. that manyone smarter is, too? but rather that you're saving up your ration. to reap what they've sown. She had so many children. but of meat and drink. as you're fit to think. come, Time, and sprinkle snowflakes in my hair. never get caught in its snare. is having no business there. shine at least on this our land. A human being sharing with a mouse. Each thinks himself the master of the house. in doing what one can't. in one smooth, spiral, clockwise curve. it couldn't keep in step with me. to gild you and glaze you and tin you. as long as you've still got it in you. as any real concern of ours. whenever things are well with us. They're really not like that at all. to judge them so severely. as nice as they are really. that everything is everywhere alike. it's useful to make out a list. but somewhere, the thing will exist. you've meanwhile forgotten to do. in exactly that way in its life. but it's nice when you're kissing your wife. which I thought belonged to me. Do they...or could it be..? then you are possessed by them. It's pouring out, its thrilling trills. to spring it on them there.